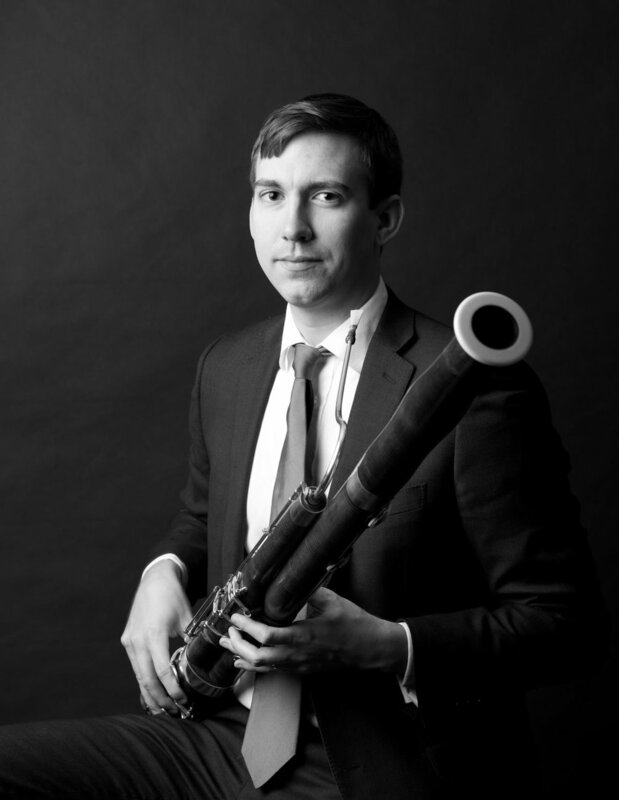 Joseph Grimmer joined the Kennedy Center Opera House Orchestra and the Washington National Opera Orchestra as Principal Bassoon in 2015 and the faculty of the University of Maryland’s School of Music in 2017. He previously served as Principal Bassoon with the Jacksonville Symphony, was a member of the Houston Grand Opera Orchestra, and spent the 2013-14 season as Acting Assistant Principal Bassoon with the Naples Philharmonic. He has performed as Guest Principal Bassoon with the Detroit Symphony Orchestra, Grand Rapids Symphony, Harrisburg Symphony Orchestra, IRIS Orchestra, Savannah Philharmonic, and Windsor Symphony Orchestra. He has also performed with the Baltimore Symphony, Milwaukee Symphony and Arizona Musicfest Orchestras. Since 2012, Mr. Grimmer has held the Assistant Principal Bassoon position with the Colorado Music Festival Orchestra in his hometown of Boulder, Colorado. Mr. Grimmer has been a fellow at the Lucerne, Aspen, and Sarasota Music Festivals and was a 2009 prize winner at the International Double Reed Society’s Young Artist Bassoon Competition in Birmingham, England. A dedicated teacher, in addition to his position at the University of Maryland he is also a faculty member of the Miami Music Festival, maintains a private bassoon studio, and has given masterclasses throughout the country. He also previously taught at the Shenandoah Conservatory. Mr. Grimmer earned his Master of Music degree from Rice University’s Shepherd School of Music, where he studied with Benjamin Kamins. He also studied with William Winstead at the University of Cincinnati’s College-Conservatory of Music, where he earned his Bachelor of Music degree. Mr. Grimmer makes his home in Alexandria, VA with his wife, Jessica, and their mini-goldendoodle, Fozzie.